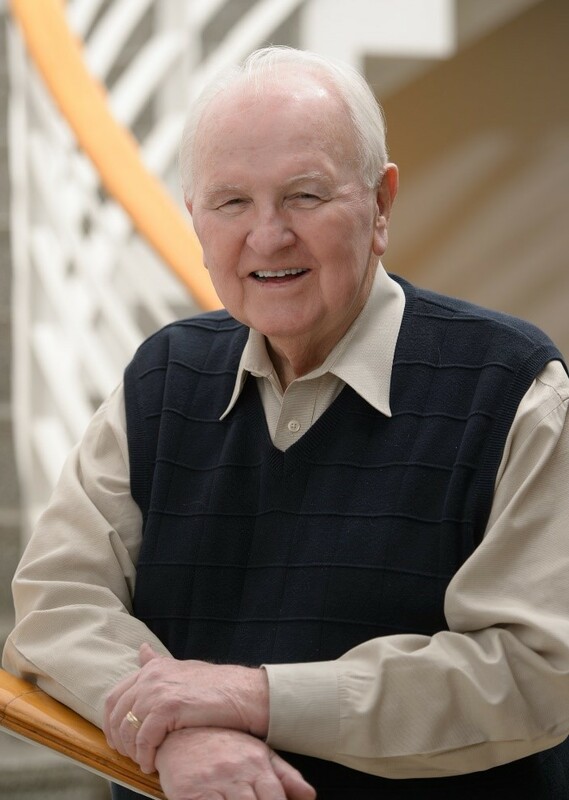 Dr. Joe V. Michael, Emeritus Scientist at Argonne National Laboratory, passed away on 17th March 2019. As a longtime member and Fellow of The Combustion Institute, Dr. Michael made pioneering contributions in gas-phase chemical kinetics, particularly in the development and application of sensitive absorption techniques to measure absolute rate constants for elementary reactions in atmospheric and combustion chemistry. Born on 2nd October 1935 in South Whitley, Indiana, United States, Dr. Michael received his Bachelor’s degree in Chemistry from Wabash College and his Ph. D. in Chemistry (Photochemistry) from the University of Rochester. He had a long career in experimental gas-phase kinetics, particularly the field of high-temperature shock-tube kinetics. A recent analysis of the NIST chemical kinetics database reveals more than 125 absolute kinetics measurements attributed to Dr. Michael, among the top five in the now mature field of gas-phase chemical kinetics. During his post-doctoral work at Harvard, Dr. Michael demonstrated for the first time the utility of a time-of-flight mass spectrometer experiment for probing high-temperature kinetics behind shock-waves. While completing his second post-doc at Brookhaven National Labs, he developed a microwave discharge flow system to measure absolute concentrations of H-atoms using Lyman-α photometry and used this approach to probe the kinetics of vinyl and ethyl radicals. Dr. Michael pioneered the development and application of photometric (absorption, fluorescence) and mass-spectrometric techniques to measure absolute rate constants that have stood the test of time. Throughout his impressive career, Dr. Michael served as a member of the Chemistry Department at Carnegie Institute of Technology (now Carnegie Mellon University), and as a researcher at NASA-Goddard Space Flight Center and visiting professor at Catholic University in Washington DC. His groundbreaking accomplishments include the first direct studies probing the role of pressure on the kinetics of chemically activated molecules, and experimental studies on bimolecular reactions of relevance to atmospheric and combustion chemistry. Much of his later research laid the foundation for the accurate modeling of ozone destruction in the stratosphere. In the early 80’s, Dr. Michael transitioned to a staff position in the Chemistry Department at Brookhaven National Laboratory, where he re-initiated his studies on elementary kinetics at high temperatures with the development of the Flash Photolysis-Shock Tube (FP-ST) technique using resonance absorption (ARAS) diagnostics. He later became the first experimental hire into the Theoretical Chemistry group at Argonne, where he provided strong experimental leadership in the validation of theoretical kinetics methods developed there. With the FP-ST and ST-ARAS technique, Dr. Michael made direct measurements of the kinetics in both the forward and reverse directions for many of these elementary reactions in the hydrogen oxidation system, and thereby substantially reduced uncertainties in modeling practical combustion. Dr. Michael was actively involved in experiments until his retirement at the age of 80, after nearly 30 years as a senior scientist at Argonne. Following his retirement, he was named an Argonne Emeritus Fellow, a status allocated only to a select few lab scientist retirees, and continued to visit Argonne and contribute scientifically. Dr. Michael has also made contributions to other areas of combustion kinetics, among these are the kinetics of soot-precursors, and the kinetics of chlorinated and fluorinated hydrocarbons. In recent years, he used his techniques to probe roaming radical and non-thermal reactions to validate and advance theoretical studies of these novel dynamical phenomena. Dr. Michael’s obituary details more information about his life and work. The Combustion Institute honors Joe V. Michael’s accomplishments and the work of scientific leaders who make significant contributions for the advancement of many diverse communities around the world.